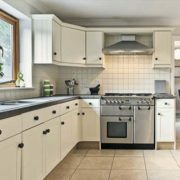 Part 2 – What Kitchen Knob or Pull is Best? Have you recently installed cabinets from Los Angelesâ€™ leading cabinet retail store, Kitchens Pal? If so, weâ€™re guessing youâ€™re already thinking about the style of knobs and pulls to purchase for your cabinets. Thereâ€™s no doubt about it; this process can be difficult. Why? There are hundreds of thousands of knobs and pulls that would work perfectly on your cabinets, but finding a knob or pull that fits your style, needs and wants is a whole other conversation. Before reading the rest of todayâ€™s blog post, we encourage you to read our past blog to learn a bit of information about what knob or pull is a better fit for you. Moving forward, youâ€™ll learn more about the pros and cons of streamline moderne. Here are more common cabinet knobs and pulls you may want to consider. And remember, this micro-design element makes a macro impact. If youâ€™re searching for glamorous pulls that will complement any style of cabinetry ordered for your Los Angeles kitchen, bar pulls may be the answer. Bar pulls make any kitchen look sophisticated and they not only underscore the contemporary feel of a kitchen, but an oversized bar pull eliminates the need to put two pulls on one long drawer. A little secret: Use two pulls or knobs on all drawers that are 18 inches wide or wider. However, if you choose bar pulls, one is enough. Bar pulls can be purchased in any length; choose a length you prefer because there is no right or wrong answer. To give you an idea, most interior designers keep them limited at two-thirds to three-quarters the width of the drawer. If youâ€™re unsure if two knobs, two pulls or one bar pull would look best with the design and style of your kitchen, purchase the items at a local hardware store to try them out before purchasing for your entire kitchen. Keep in mind, a bar that allows you to use your entire hand throughout the entire length of the drawer or cabinet will be much appreciated. Youâ€™ll enjoy a streamlined appearance with secure grip, and theyâ€™re a great option for an individual who wants an unfussy, pristine look. The bar pull meshes perfectly with a modern, contemporary, traditional, minimalist, shaker or transitional style cabinet. Since theyâ€™re larger, theyâ€™ll stand out more. What are bin pulls? Just what they sound like: An upside-down, cup-shaped pull. These pulls were popularized back in the mid-19th century and are a great choice for kitchens that have a minimalist, vintage feel, and shaker style cabinets. When first created, bin pulls were made of cherry, maple or pine. The simplistic design allowed for austerity in design and are considered an understated and clean look used on both drawers and cabinet doors. 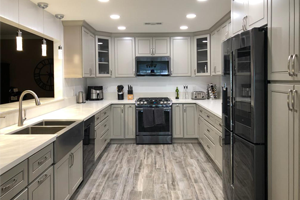 If you decide that bin pulls are the perfect pulls for your Los Angeles cabinets, youâ€™ll be able to choose between a variety of finishes, including matte nickel and stainless steel; however, black is also a great color on stained cabinetry. Bin pulls are easy to clean and easier to use. They mix well with a wide variety of cabinet styles. Theyâ€™re great for your kitchen if you have heavy drawers and cabinets. Theyâ€™re strong, workable pulls and match perfectly with traditional, shaker, vintage, eclectic and country style cabinets. 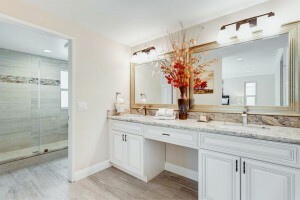 They usually look and work best with traditional style cabinets. 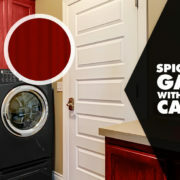 Shop for cabinet knobs and pulls online at Kitchens Pal! 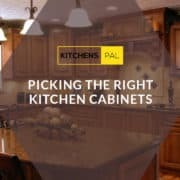 Kitchens Pal is your one-stop-shop for cabinets and accessories. Shop with us online today to find the perfect knobs or pulls you love. Contact us online now with questions and stay tuned for more styles we recommend in our upcoming blog. 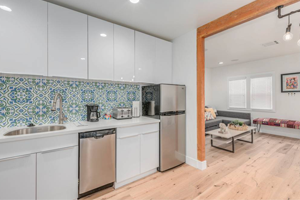 What Kitchen Knob or Pull is Best? Part 3 – What Kitchen Knob or Pull is Best?